Your call. You can always request a change again. @sanderson wrote: Your call. You can always request a change again. Well, I finally emptied out the real pretty bed that I made a few years ago. It was invaded with termites and was only a few feet from the house. I tore the bed apart, threw the wood and MM in the woods. 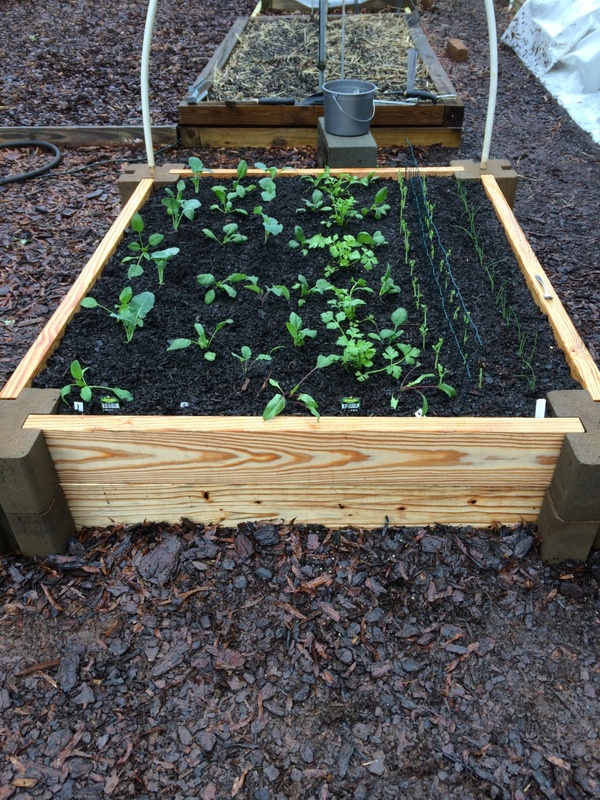 I used the Home Depot Blocks to make a new bed in my garden. It is 4 x 4. I planted store bought transplants of Broccoli and Celery and transplants I seeded earlier in pots of Kholrabi and Spinach and Bunching Onions and Strike Peas. Well my outdoor worm bin was just found to be full of ants but no worms. So that was a fail. Gazilion ants all inside the worm bin. So I will have to give up that experiment. No more worm tubes or outside worm bins in my garden. @yolos wrote: Well my outdoor worm bin was just found to be full of ants but no worms. So that was a fail. Gazilion ants all inside the worm bin. So I will have to give up that experiment. No more worm tubes or outside worm bins in my garden. Well I decided to leave the food out and just let the worms eat the composting material that is in the bed. These are not red wigglers but are native worms and should do fine eating the composting material. So I got a garden fork and started mixing up the ingredients. Guess what I found. TERMITES. They were not in the wood sides of the bed but just in the middle. I guess they were eating all the woody material that I shredded and put in the bin. So now I do not know what to do with this project. It is filled with good composting material. About 3x5x2 feet. I know ants really liked my cooling compost in the cage, enough to even crawl up the legs to get into the tumbler compost. Warmth, moisture?? 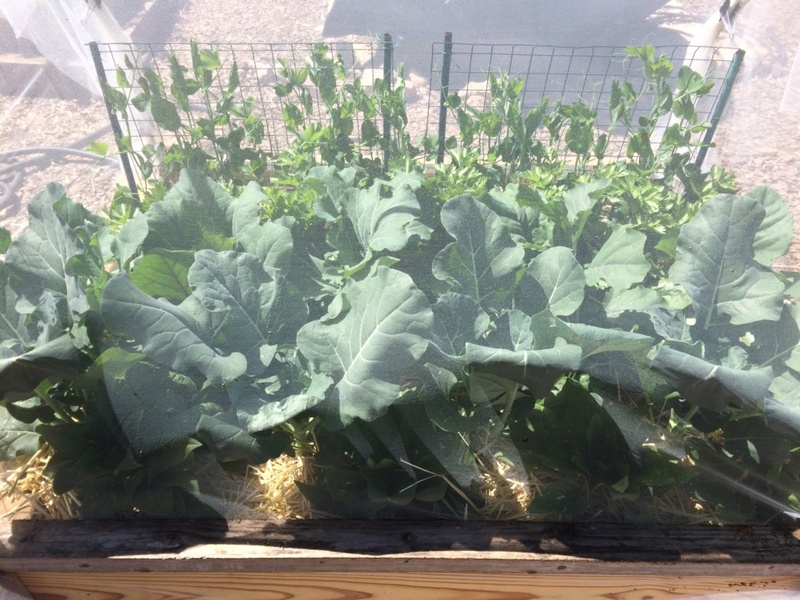 Do you think the termites will affect any plant in the 3'x5'x2' box? I ask because you could just use this box for summer squash or watermelon, something that you could wrap the vines around and around. PS, I love your new bed. 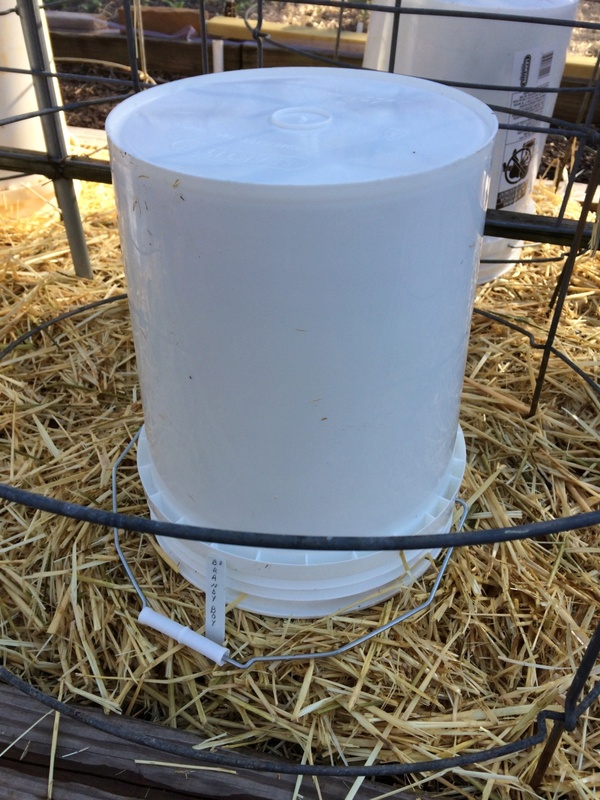 @sanderson wrote: I know ants really liked my cooling compost in the cage, enough to even crawl up the legs to get into the tumbler compost. Warmth, moisture?? 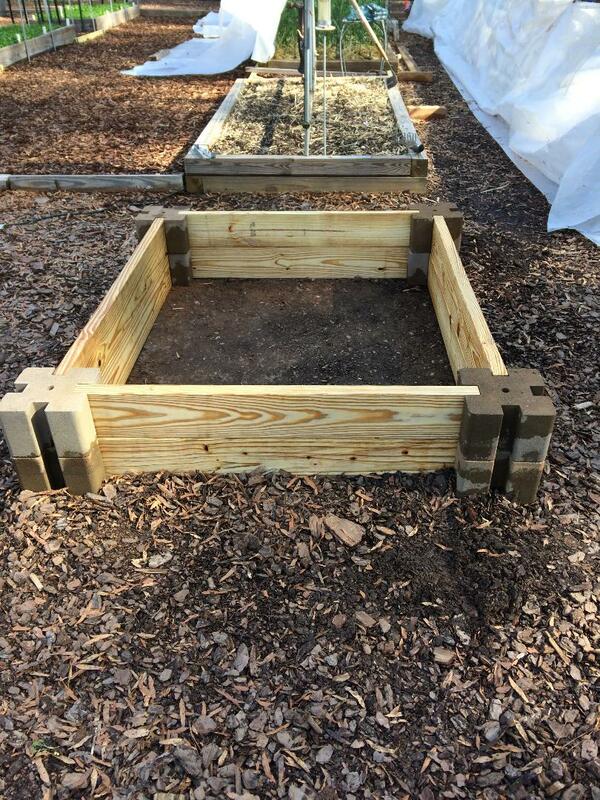 Do you think the termites will affect any plant in the 3'x5'x2' box? I ask because you could just use this box for summer squash or watermelon, something that you could wrap the vines around and around. PS, I love your new bed. Thanks. Yea the ants are a continual problem here in Ga. If they get in a bed I use those terro bait stations and they eventually either die or move somewhere else like another bed. It is the termites I am worried about. I do not think they would be a problem to growing vegetables but I am afraid I would not be able to use the compost because it would be loaded with termites. I have some termite killer but you cannot plant vegetables for 1 year after using it. So how do I get rid of the termites so I can eventually use the compost. I left the bottom of the bin open to allow the worms to get in and I covered the inside of the bed with plastic. Yolos, I would spread the compost out on a tarp to dry. The termites should grab their eggs and grubs and leave it. Theoretically, at least. Compost is easy to re-hydrate. @sanderson wrote: Yolos, I would spread the compost out on a tarp to dry. The termites should grab their eggs and grubs and leave it. Theoretically, at least. Compost is easy to re-hydrate. That is kind of what I have been thinking. Right now I am continually turning the compost trying to dry it all out. As you say, just laying it on a tarp will help. Rain, rain, rain and no sun EXCEPT the past two days were pretty nice.. But it is back to rain and no sun for the foreseeable future. 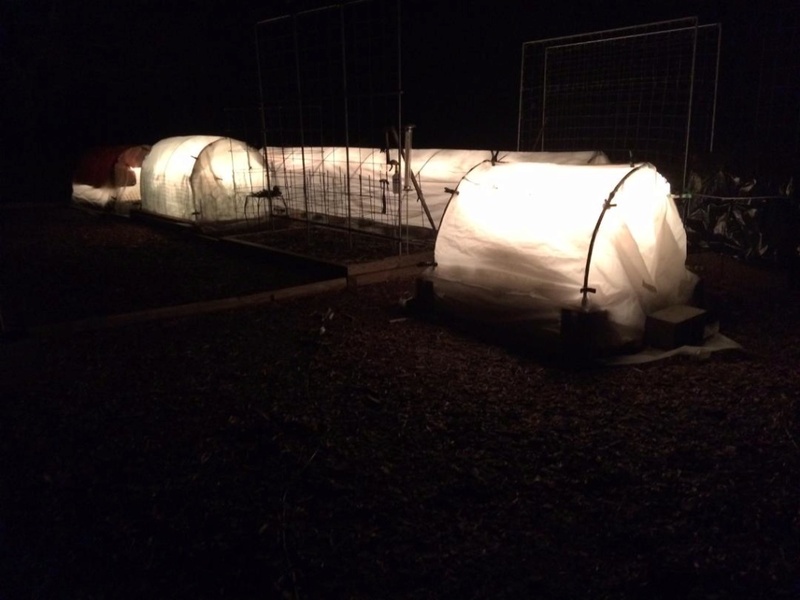 All of my beds that are planted have 4 mil or 6 mil plastic over the top so I can control the amount of water they are getting by covering them when it rains. And also to wrap them up when needed for the cold. Looks like they are forecasting lows between 21 and 28*F Monday, Tues and Wed. So I guess I will see if all my season extension efforts will work. I have Agribon 19, 4 or 6 mil plastic, a couple of solar blankets, and a few cloches and some wheat straw and Christmas lights. 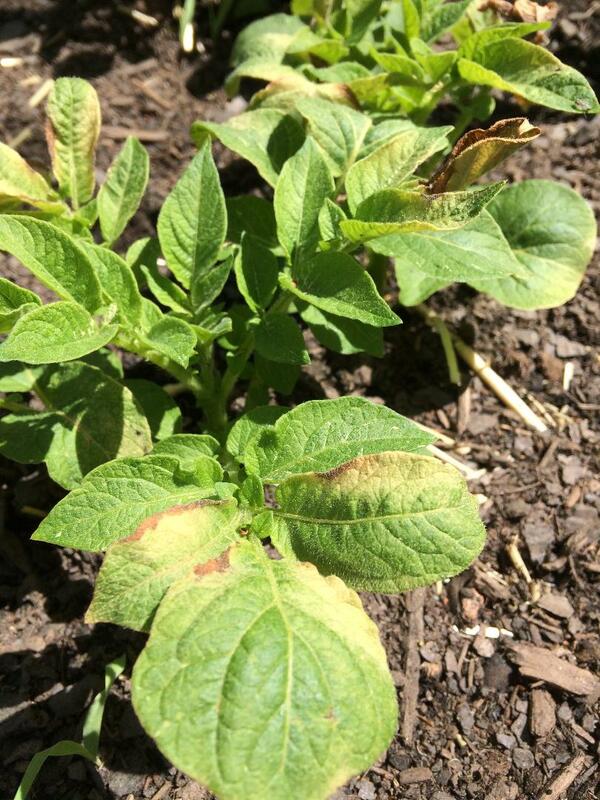 In one bed I have Russet Norkotah potatoes that are just sticking their heads out of the ground. These are the most valuable to me because they took so long to sprout and because I do not have any back ups. If it does get down to 21*F then I can put Wheat Straw over the tops, then a solar blanket laid on top of the straw, then Agribon 19 on very low hoops, then Christmas lights, then 4 mil plastic on higher (but still low) hoops. This year I planted them on 2/9 when I usually plant them on 3/9. So we shall see. 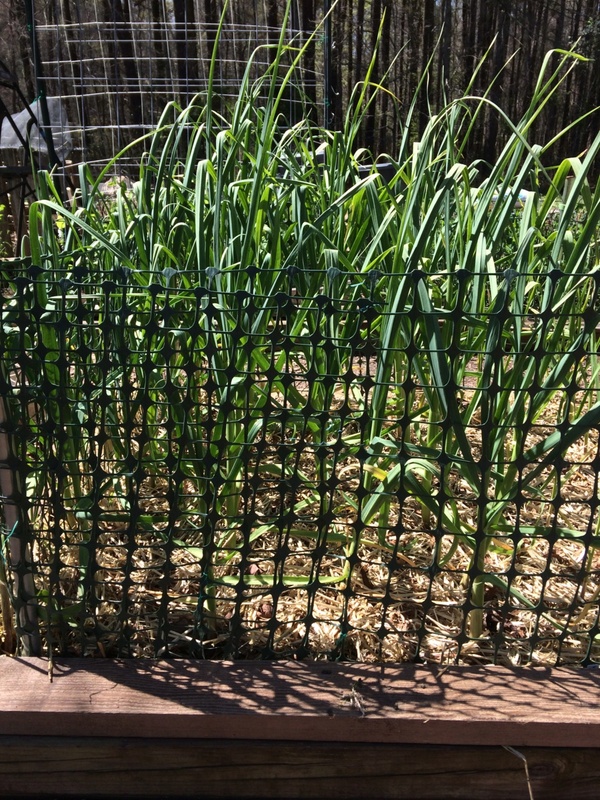 I also have garlic planted last Nov. The garlic is getting real tall (about 2 feet) and the stalks have at least 6 leaves. So I do not want the leaves to get frozen back. Garlic can stand low temps but the low temps can damage leaves which will then result in lower yield. 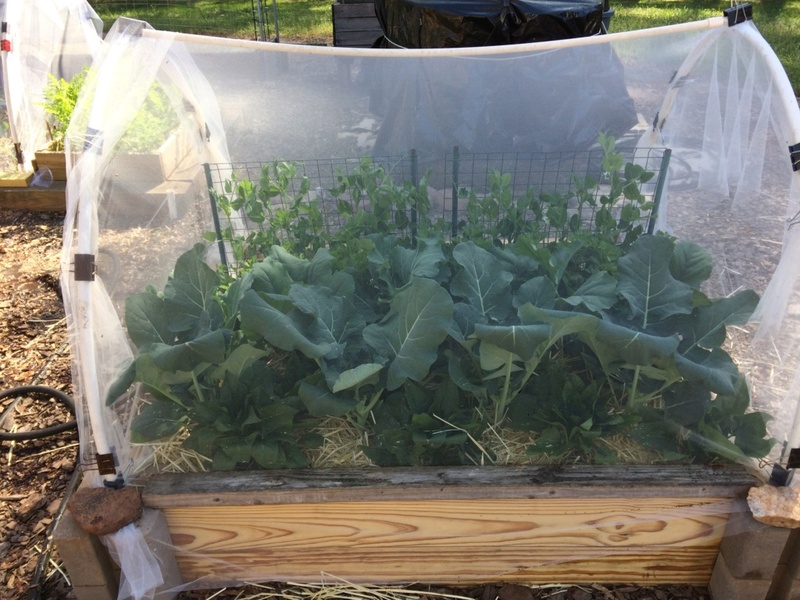 I have cloches for the broccoli and kohlrabi along with 4 mil plastic. 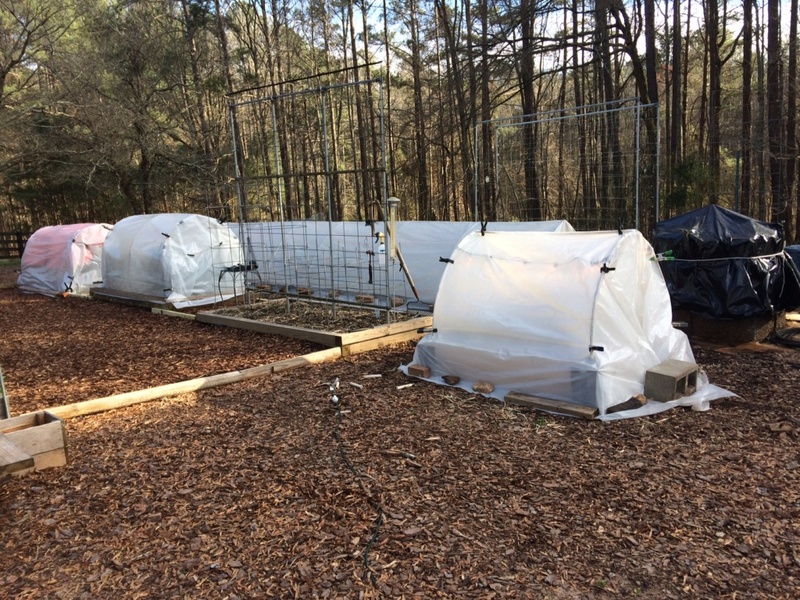 The peas and spinach and onions will have to only have the 4 mil plastic also but they can handle cold weather better than most of the other veggies. Almost forgot the Fava Beans. They are in a 2x20' bed and it will be almost impossible to cover. This variety is supposed to survive very low temps but the flowers and pods will die. 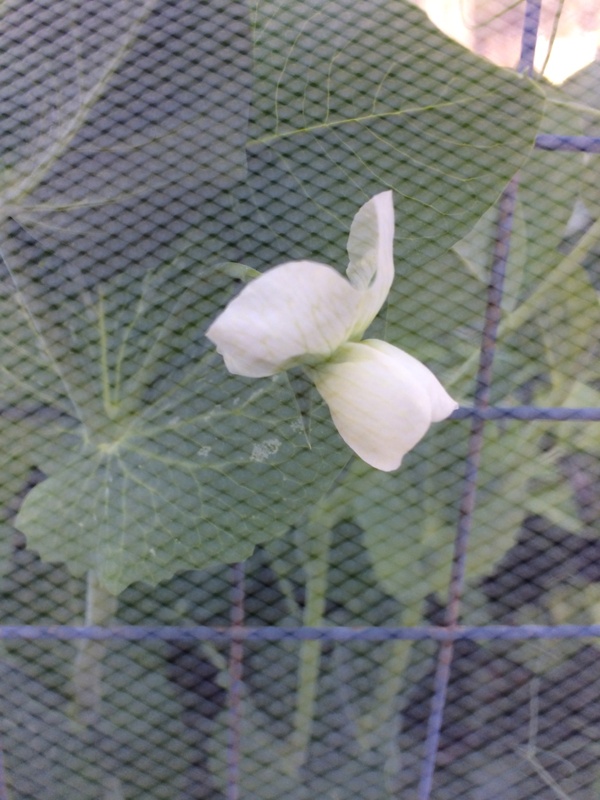 They have flowers all over them and the pods will be coming very soon if the freezing weather does not kill off the flowers. Yolos, I can't believe that GA has that cold of winters. I picture it hot and sometimes muggy. This Forum is so educational on different levels. @sanderson wrote: Yolos, I can't believe that GA has that cold of winters. I picture it hot and sometimes muggy. This Forum is so educational on different levels. It is really screwy weather here during the winter. High of 70 degree one day and low of 23 degree the next day. But usually, in the winter (Jan-March), we get one freezing day a week. Maybe snow one day during the winter. Ok, I am ready for the freezing weather. I hope all this protection works. The low the next three days will be 25,25,27*F. I know this is a lot warmer than you guys up north experience, but it is cold for us down here. Twenties is pretty cold, even for up here. Sweater weather to be sure. Covers look good, Yolos! Best of luck!!! So pretty! I hope the plants are snug in their beds. All plants survived the mid twenties with the season extension. 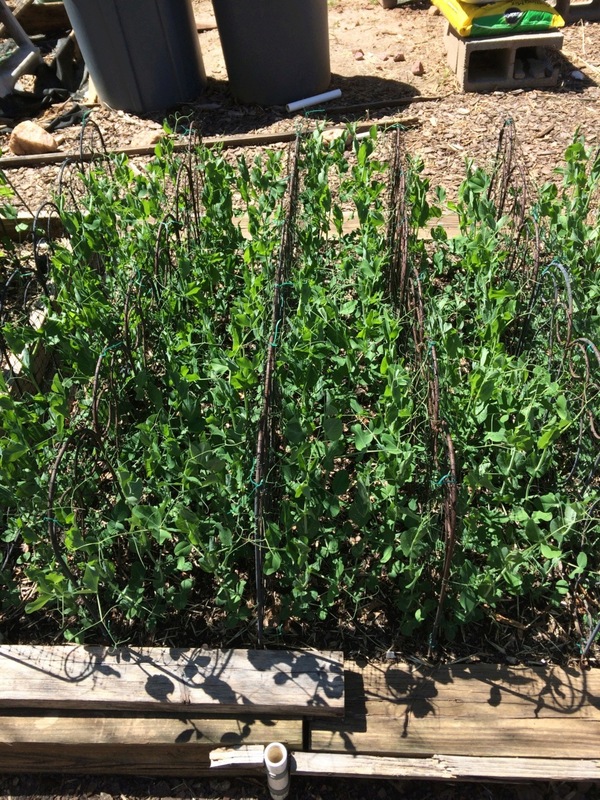 The only crop that I did not cover was the Fava Bean bed - 2' x 20' and 7 pots. The fava beans can survive down into the teens. But the flowers and pods can be ruined and the plants will collapse in on themselves. 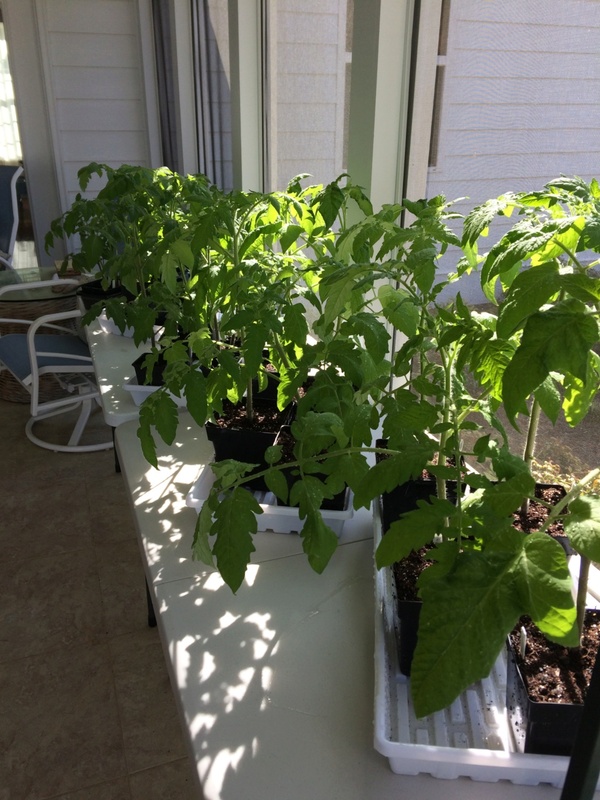 I tried to keep them upright by putting fencing around the bed and around the pots but some still collapsed. Most of those that collapse will eventually turn upward and continue to grow. 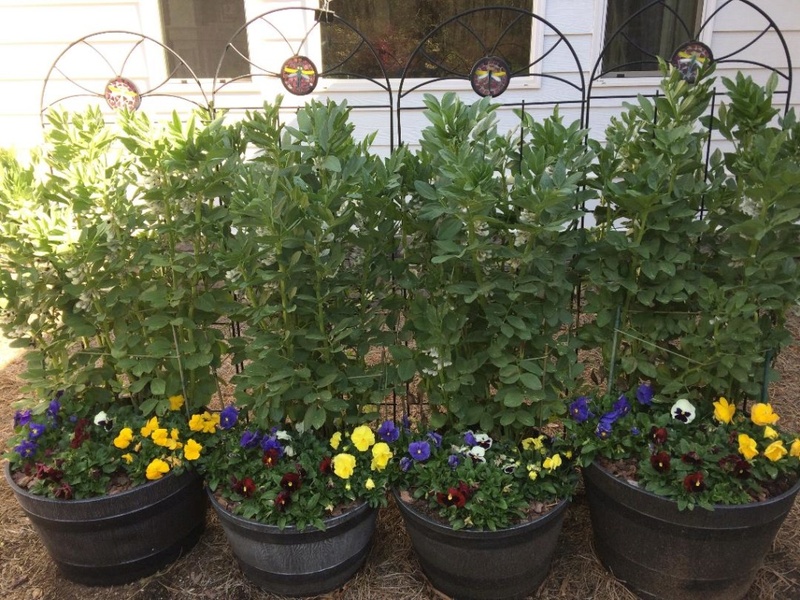 Here are 4 pots with Fava Beans in the back of each pot. 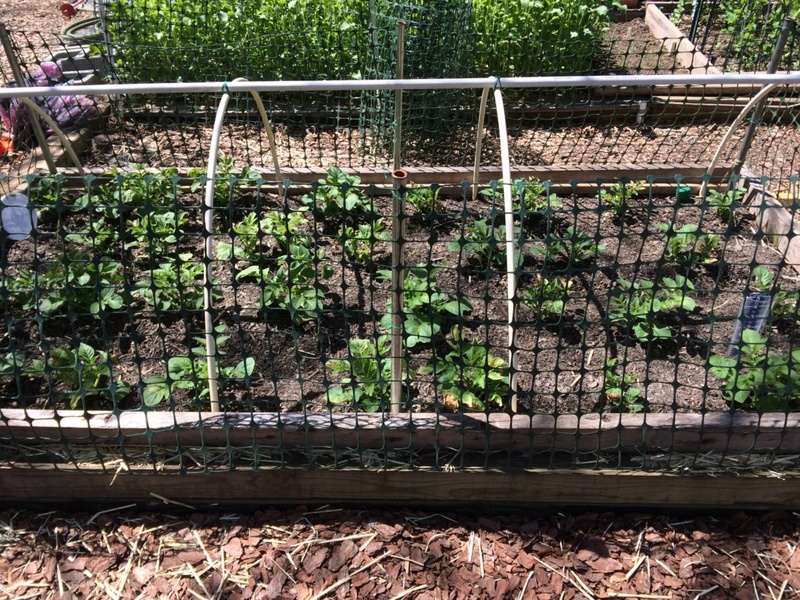 I tied these to trellises so they look real nice. 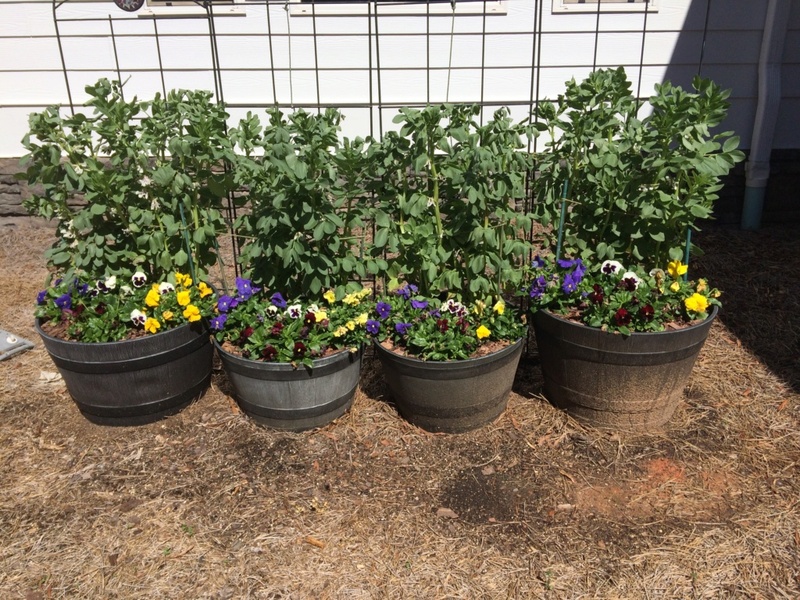 Those are pansy's blooming in front of the taller Fava Beans. Looks like I need some more pine straw around the pots. Some pictures to show what is going on in my garden. 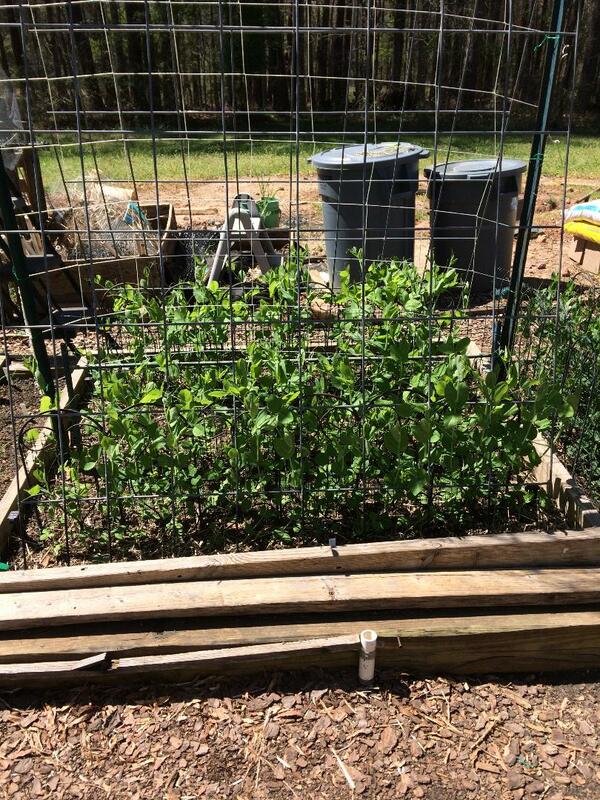 Fava Beans planted last November. I planted 7 pots and a 2x20 bed of Fava Beans but this planting is the prettiest. Pansies in the front of the taller Fava Beans. 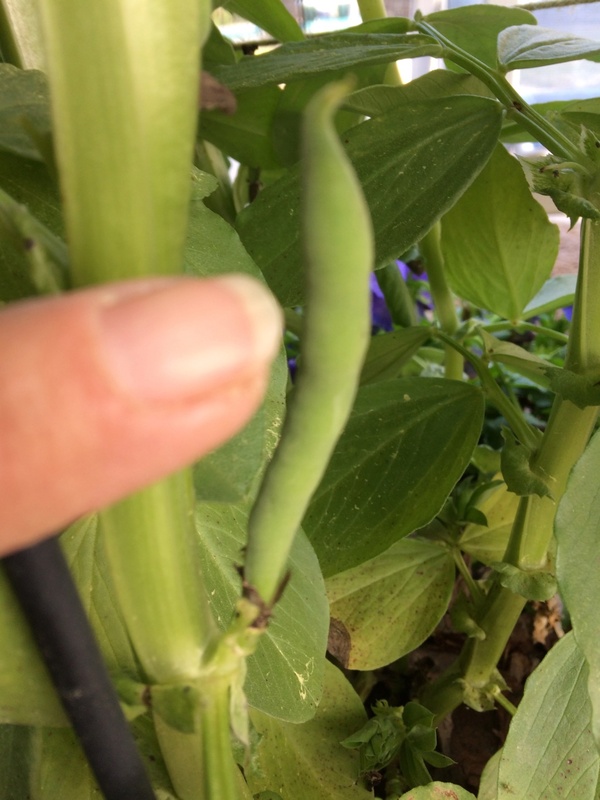 Also, I see I now have beans forming so looks like I will get a harvest before the weather turns too hot. 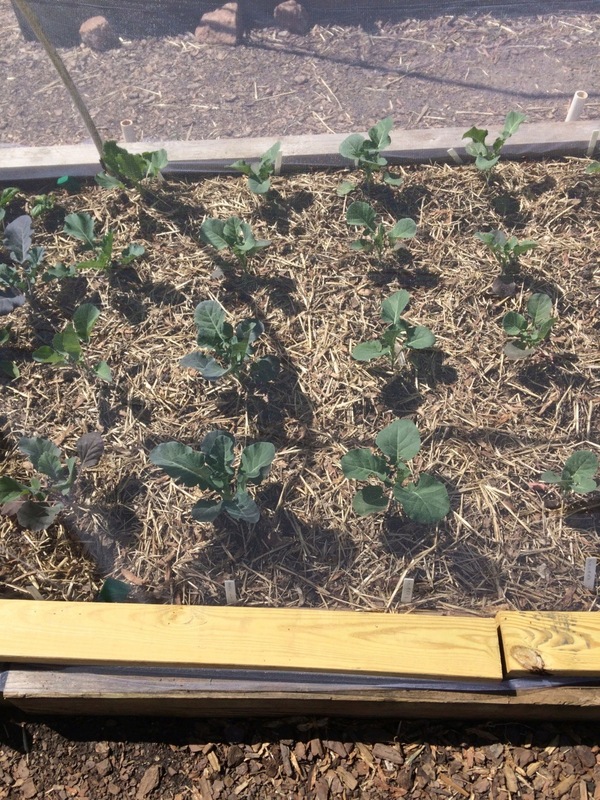 My newest bed about 3.5 x 5 - 4 Broccoli, 5 Kohlrabi, 5 Celery, 1 double row Stike Peas, 1 double row Bunching Onions. 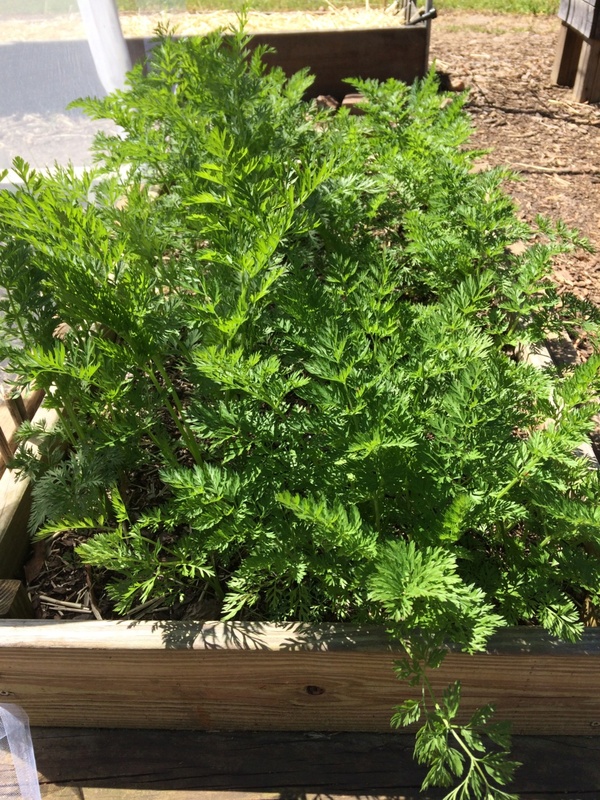 The plants in this bed are growing very vigorously. I am really pleased with it. 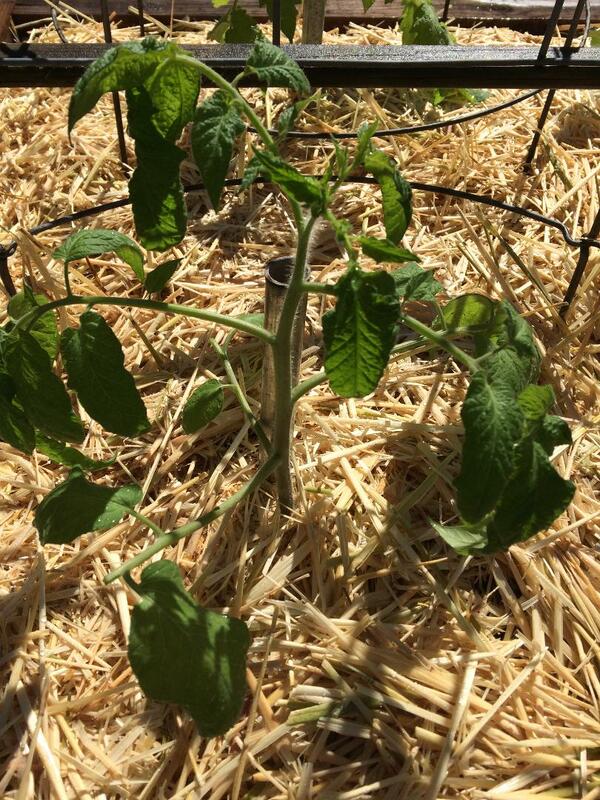 Tomatoes planted today. - Juliet, Brandy Boy, Brandy Wine, Early Girl, Bolseno, Better Boy. This is the first year I have tried a 5 gallon bucket as protection against the cold. 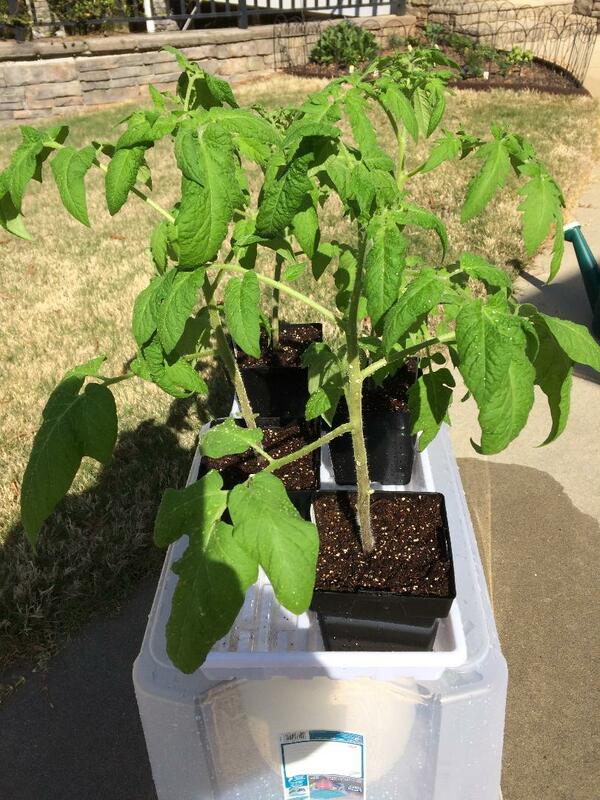 I have read that tomatoes do not like temperatures less than 50*F. I got tired of waiting for the night time temperatures to stay above 50*F but the colder nights just keep hanging on. The soil temperature was 60*F so I think I will be okay planting now if the temperatures do not drop below 40*F at night. We shall see. I have backups for all of these varieties. Dang YOLOS!!! You have been busy, busy, busy. WOW, Yolos! I am sooooooo jealous! I got nuthin'.